Chester County preserved farmland in West Nantmeal Township. WEST CHESTER — The Chester County Commissioners announced Thursday an important agricultural land preservation milestone in the County: some 40,000 acres of farmland have been preserved as part of the county’s open space efforts. Since October of 1990, when the first farm successfully went into the program, Chester County’s Agricultural Land Preservation Board (ALPB) has approved the preservation of 40,000 farm acres on more than 500 farms. 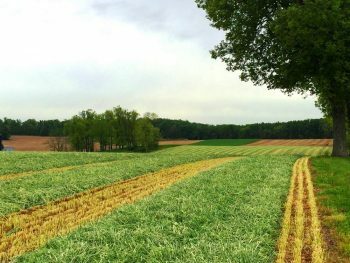 This farmland preservation represents a significant contribution to Chester County’s overall open space preservation program which now accounts for 28 percent of the County.